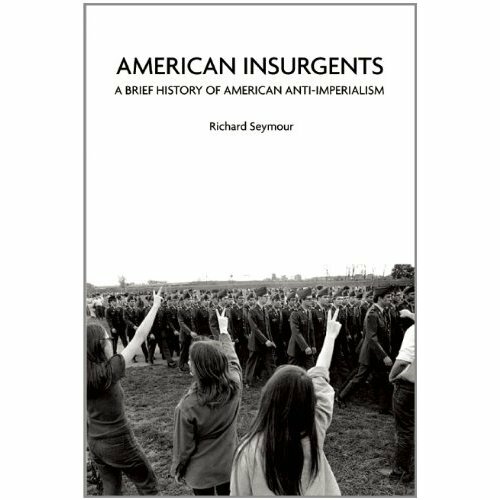 American Insurgents is a revealing, often surprising history of anti-imperialism in the United States since the American Revolution. It charts the movements against empire from the Indian Wars and the expansionism of the slave South, to the Anti-Imperialist League of Mark Twain and Jane Addams; from the internationalists opposing World War I to the Vietnam War and beyond. It shows that there is a surprising, often ignored tradition of radical anti-imperialism in the US. Far from being ‘isolationist’ in the fashion of Ron Paul and Pat Buchanan, the book contends, these traditions were often the most internationalist and cosmopolitan currents in US political history. The most ambitious movements formed direct relationships with the victims of US expansionism, from the abolitionists uniting with Native Americans to stop colonial genocide to the solidarity movements in central America and the ‘human shields’ in Palestine and Iraq. Far from being the privilege of the rich and educated, antiwar activism has been most evident among the poor and oppressed. It has been most militant when visibly connected to domestic struggles and interests, such as slavery, civil rights, women’s oppression and class. Above all, the book contextualizes each anti-imperialist movement in the evolving structure of US expansionism and dominance, and explains how some movements succeeded while others failed. In so doing, it offers a vital perspective for those organizing antiwar resistance today.